Innovations from CES 2013: The future of notifications? 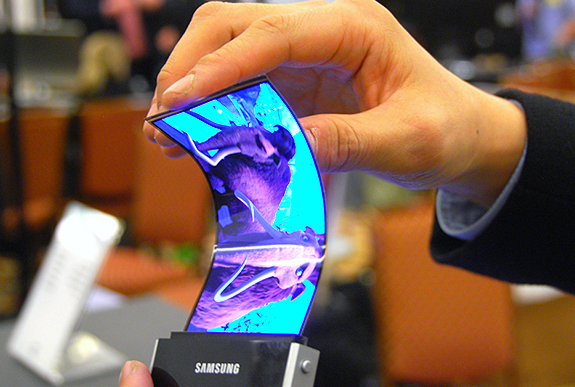 The flexible OLED screens from Samsung! One of the things which got us most excited was Samsung's demonstration of their flexible screens, which we have been promised for so long. It certainly looks like the wait will be well worth it if Samsung's CES demo is anything to go by! If you have a quick look at the video above then this next little bit will make more sense! One of our favourite things from the video above was the idea of the wrap around notification area! If we could get our way with that bit of tech we would extend its uses far past simple notifications! For example we would see that that area was able to control music playback and perhaps we could even squeeze a little keypad in sideways, for a quick call home or even a little Google Now button for when you're driving! The other obvious plus here is that these screens will be a lot more durable than the current crop of screens! This is a massive plus and with a bit of luck it will mean that it'll be considerably harder to wreck your phone when the next generation drops! We'd love to hear what you're thinking the area could be used for! So let us know in the comments below! 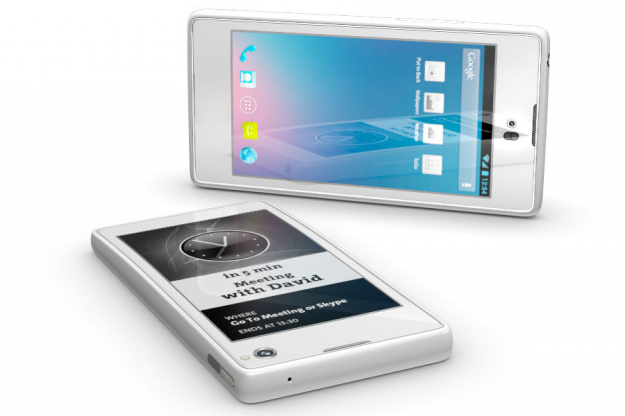 We've actually heard about Russia's Yotaphone before. It's a device which offers you two screens. The front screen is a normal screen you would expect to see on your smartphone, but the back isn't what we would call conventional. "Lets users watch videos, play games and perform other functions best suited on the LCD, but adds an electronic paper display for content that requires longer reading time, like reading a book or magazine. It also keeps important information visible without draining the battery. Boarding passes, maps, tickets and other important information are displayed even if the battery dies." Another interesting idea is that the screen can be used as a notification area when your phone is face down on your desk! The rear screen can essentially be your personal organiser, while the phone will only need to be turned on for the functions that can't be accessed from the e-ink display! We're not sure which one of these will become the standard but we have a feeling that Samsung's idea will undoubtedly become widely implemented, whereas it would've been nice to see Yota's idea in the Nexus 4 or similar glass backed devices! 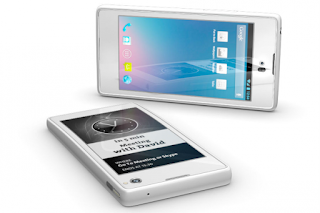 You can see a demo of the YotaPhone from AndroidPolice embedded below! The full press release for the YotaPhone is available here! So which would you like to have in your hands if you could have one right now for free? We know which one we're looking forward to the most!